Entries from Digital Intelligence tagged with "comscore"
comScore has extended access to its free viewability measurement solution around the globe. Online measurement firm comScore has announced a new initiative to work with Google to provide independent brand safety reporting of advertising campaigns on YouTube. comScore has expanded Video Metrix Multi-Platform to the UK, providing a single, unduplicated measure of digital video consumption across smartphone, tablet and desktop devices to give clients a deeper understanding of how, when and where video content is consumed. Non-human traffic is more common on video sites than display ad ones in the UK, according to new data. 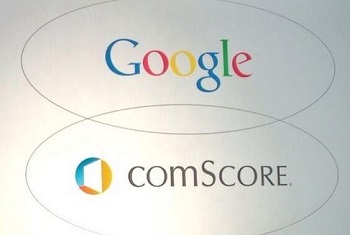 Google and Facebook continue to be the most popular sites in the Uk according to new reseach from comScore. The number of mobile-only adult internet users exceeded the number of desktop-only internet users in the US for the first time, according to new research. News sites including BBC, Mail Online, and Trinity Mirror are now getting much higher mobile audiences than on desktop, according to new research looking into the top 20 UK sites online. ComScore has formed a strategic alliance with Kantar outside of the US, in a financial deal that will see the two combine their products and relationships. ComScore is to change in its mobile measurement products in the UK, ditching its previous system for a more panel based approach that’s similar to its PC audience metrics. Amazon, Argos and Apple are the most visited online retailers in the UK, with travel websites showing the most significant growth in the past 3 months, according to new research. iPhone users in the US earn more and spend more time on apps than their Android counterparts, according to new research. UK internet trends 2014: Which sites attract most mobile users? There are 48.4 million unique internet users in the UK, with 3.3 million users per month accessing the Internet exclusively from mobile devices (smartphone or tablet), according to new research. The US will reach over 75% by the year end, with Apple and Android still leading the way in terms of phones and operating systems respectively, according to new data. Direct visits to branded pharmaceutical websites continue to bring greatest lifts in consumer awareness, favourability and conversions, according to new research. More and more people in Germany plan and book their holidays through their mobile phones, according to new research from comScore. As desktop usage has largely remained flat over the past year for top web properties, mobile usage continues to surge, according to new research from comScore. Microsoft’s advertising division has launched a new video ad network, with the aim on cutting down on wastage by combining first party data with Neilsen and Comscore’s data. Google and Facebook remain the most popular sites in but local community site Gutefrage was the fastest riser, according to new research. Google has partnered with comScore to offer advertisers real-time data to measure how effective campaigns are across all types of computer screens and mobile devices. The online video and mobile audience in the UK continues to grow, with Google, Amazon and Facebook continuing to prove the most popular sites across all platforms, according to the latest data from comScore and UKOM. Retail apps: How are consumers shopping on mobiles? With the 2013 online holiday shopping season underway, the pressure is on retailers to post strong sales growth while adjusting to a fast-changing and increasingly mobile-driven landscape. With strong growth expectations for online shopping this year, mobile commerce promises to emerge as a major theme. This infographic looks at how consumers interact with major retailers on their smartphones, either via apps or on the web. The common perception that Twitter is used by older users has come in to question this week, with new research highlighting how its users are on average younger than their Facebook counterparts. Consumers are increasingly turning to online channels to engage with their favourite fashion brands. Nearly 80 million people worldwide accessed a site from Jewelry/Luxury Goods/Accessories category using a desktop PC or laptop in August 2013, up 8 percent compared to the same period last year.